The increasing number of cases of malnutrition in hospital and associated deaths reflect a system-wide failure to consistently screen and manage patients who are either malnourished or at risk of malnutrition. Drawing upon malnutrition data broken down by NHS Trust for 2015/16, new research commissioned by BSNA has found that more than half the hospital Trusts in England are significantly under-reporting malnutrition rates compared to accepted national estimates. This means that the overall incidence of malnutrition is likely to be significantly under recorded, pointing to a much more significant problem than the available data suggests. Recognising this problem, a recent inquiry into malnutrition amongst the elderly by the All Party Parliamentary Group (APPG) on Hunger has recommended that “Public Health England and its equivalent bodies in Wales, Scotland, and Northern Ireland, should regularly record and publish up-to-date data on the extent of malnutrition amongst older people”. Against this backdrop, the incidence of malnutrition continues to rise. Malnutrition continues to be a serious problem in modern Britain, with more than three million people in the UK estimated to be either malnourished or at risk of malnutrition. The number of deaths from underlying malnutrition or where malnutrition was named as a contributory factor is also increasing, having risen by more than 30% from 2007 to 2016. This is unacceptable in any modern healthcare system. Malnutrition continues to be a serious problem in modern Britain, with more than three million people in the UK estimated to be either malnourished or at risk of malnutrition.​ The number of deaths from underlying malnutrition or where malnutrition was named as a contributory factor is also increasing, having risen by more than 30% from 2007 to 2016. 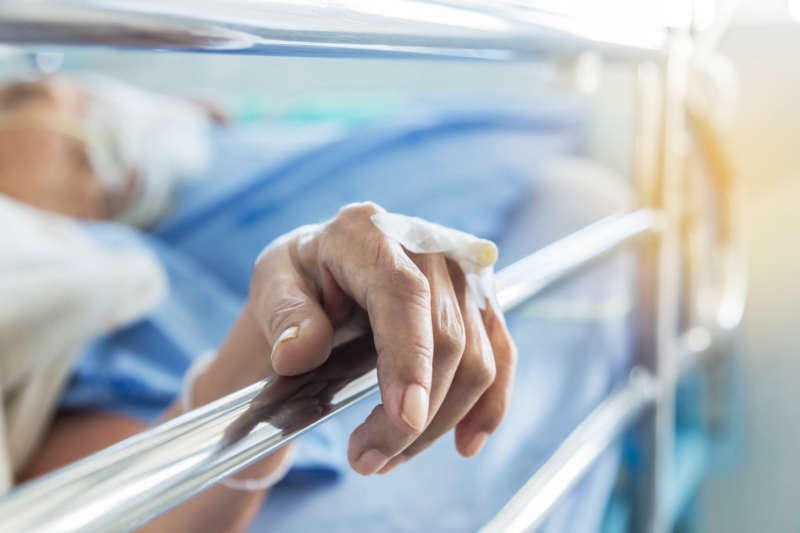 Malnutrition results in various adverse health outcomes for patients, including high numbers of non-elective admissions, greater dependency on hospital beds for longer and progression to long term care sooner. Managing patients in a crisis situation results in high levels of inefficiency, which could be avoided or minimised if more focus were placed on prevention and early intervention. The increasing number of cases of malnutrition in hospital and associated deaths reflect a system-wide failure to consistently screen and manage patients who are either malnourished or at risk of malnutrition. The resulting cost to the public purse is significant. In England alone the costs arising from malnutrition have been estimated at £19.6 billion. This represents approximately 15% of overall health and social care expenditure. It is estimated that £5,000 could be saved per patient through better nutrition management. The provision of nutritional support to 85% of patients at medium to high risk of malnutrition would lead to a cost saving of £325,000 to £432,000 per 100,000 people. The impact on local areas is considerable, since 93% of malnutrition is estimated to occur in community settings. However, the largest cost comes from the management of malnourished people in hospitals, even though they only account for 2% of cases. Comprehensive, effective screening, prevention and treatment, and the introduction of incentives, are essential across all settings to protect those at risk of malnutrition and reduce costs to taxpayers. Significant cost benefits can be gained from optimal management of nutritional care, not to mention the benefits for patients’ quality of life. Guidance exists that should be followed in all care settings. NICE Clinical Guideline 32 on Nutrition Support in Adults (CG32), and NICE Quality Standard 24 (QS24), set the standard for appropriate and timely nutritional care in this context. These are supported by the Managing Adult Malnutrition in the Community Pathway, an evidence based tool that can be used across all care settings and which is endorsed by professional organisations such as the British Dietetic Association (BDA), British Association for Parenteral and Enteral Nutrition (BAPEN), Royal College of Nursing (RCN) and Royal College of General Practitioners (RCGP). The Malnutrition Universal Screening Tool (‘MUST’) is a recommended screening tool with five steps, which allows health and care professionals to identify and manage nutritional issues, including both malnutrition and obesity. It includes the use of BMI calculation, consideration of unplanned weight loss and the effect of acute disease, as well as guidelines that can then be used to help establish a care plan for the individual based on their level of risk. Unfortunately, even though patients, care home residents and those receiving support in the community should – and can easily be – screened and assessed for malnutrition, this is not always the case. Even in the cases where ‘MUST’ is being used, it can sometimes be viewed as a tick box exercise, meaning that patients do not always receive an appropriate management plan when they should. Malnutrition needs to be screened, identified and managed to be tackled effectively and appropriately. However, it appears that there are fundamental inconsistencies in the implementation of CG32, QS24 and the other recommended strategies. Malnutrition remains a growing problem, yet is largely preventable and can be better managed if the right guidance is followed. Our new research explored the current reporting of malnutrition in hospitals in England. 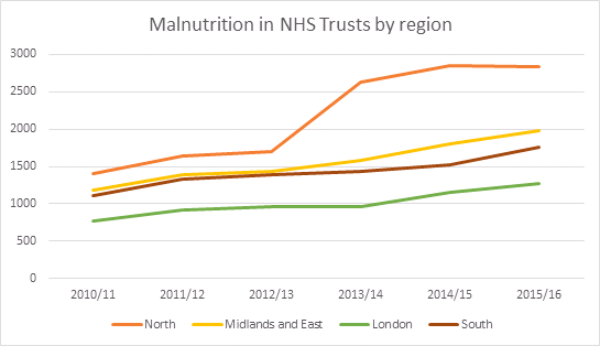 Using the latest publicly available data to analyse malnutrition rates across 221 English NHS Trusts, the research identified Trusts where the recording of malnutrition is significantly below expectation. NICE Quality Standards are designed to measure and improve quality of care in specific areas. Estimates point to malnutrition as a sustained problem across the country but the data is incomplete due to the non-mandatory nature of nutrition reporting and management. Were the Quality Standard and the full accompanying Clinical Guideline (CG32) implemented in full, comprehensive records would exist on the nutritional status of all in-patients, care home residents and people receiving care in the community. However, because adherence to Quality Standards and Clinical Guidelines is not mandatory, this is not the case. Malnutrition data broken down by NHS Trust is the only localised breakdown of such data publicly available. Although NHS Trusts cannot be mapped to a specific local footprint, because patients will not always attend their nearest hospital, data on them can be used to illustrate trends by region or to identify local hospital activity. 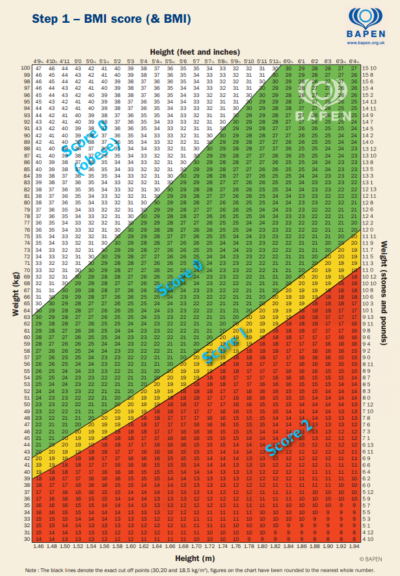 Grouping Trusts by region, the data show that the upward trend for cases of malnutrition by finished admission episodes (FAE)* is common across England. This data demonstrates that malnutrition remains a significant and growing problem despite significant efforts to improve clinical practice, including the existence of CG32. In its report, BSNA highlighted Trusts which have been identified as having especially poor reporting procedures for malnutrition. Analysis was undertaken using the latest publicly available malnutrition data from 221 NHS trusts, covering the period 2015/16. The recorded malnutrition data was then displayed as a percentage of overall admissions compared to the total admissions in each Trust. Official estimates indicate that around 2% of malnutrition cases appear in a hospital setting. Yet our research found that in half of the Trusts, fewer than 0.05% of admissions were classified as showing signs of malnutrition, equating to fewer than one in every 2,000 patients. Of these, roughly 50% (45) were large NHS Trusts with more than 100,000 admissions per year. These Trusts were split evenly across the regions of England, indicating a systemic under reporting of malnutrition. However, it is not possible to extrapolate from the available data whether this is because of full or partial adherence to the available guidance. Of the 221 Trusts analysed for the report, almost all reported fewer than one case of malnutrition for every 100 patients admitted. The statistics are at considerable variance with the generally accepted estimated prevalence of malnutrition in the UK, suggesting that they vastly under-represent the hospital population that could be expected to be affected by/at risk of malnutrition. It is therefore likely that many, if not all, Trusts need to improve the process by which malnutrition risk is identified and coded. Over and above the picture of varied reporting, the figures also illustrate an upward trend of incidence of malnutrition across all parts of England. The increasing number of cases of malnutrition in hospital and associated increase in deaths from malnutrition suggest a failure to consistently prevent, screen and manage the condition. *A finished admission episode is the first period of in-patient care under one consultant within one healthcare provider. It recommends that “Public Health England and its equivalent bodies in Wales, Scotland, and Northern Ireland, should regularly record and publish up-to-date data on the extent of malnutrition amongst older people” and that “robust and reliable screening tools must be scaled up across the country so that malnutrition can be identified, diagnosed, and treated much more quickly and effectively in the community”. When CCGs are looking to reduce their overall expenditure on prescription costs, it is important to look at the burden of malnutrition in the local health economy, in terms of hospital admissions and readmissions, and to ensure that the nutritional needs of patients are being managed appropriately. Immediate savings from cutting ONS can lead to higher costs due to increased healthcare use in the longer term. Implementing NICE CG32 and QS24 in 85% of patients at medium and high risk of malnutrition would lead to a net saving of £172.2-£229.2 million, which equates to £324,800-£432,300 per 100,000 people. Dietitians have an important role to play in finding a solution to this challenge, as they are expertly trained to devise nutritional care plans for patients with medical conditions and help support patients’ health and wellbeing. Prevention and management of malnutrition require early action to reduce the risk of longer-term complications. 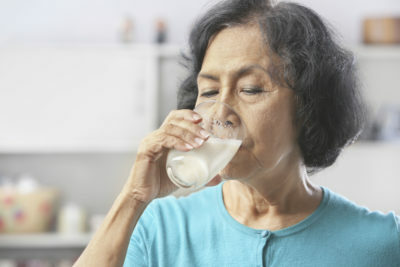 Prescribed whenever there is a clinical need to do so, and in line with both NHS England guidance and NICE guidelines, oral nutritional supplements (ONS) can ensure that patients’ nutritional needs are managed adequately and that further complications do not arise. They are an integral part of the management of long-term conditions that require nutritional support and should be accessible to all patients who need them. 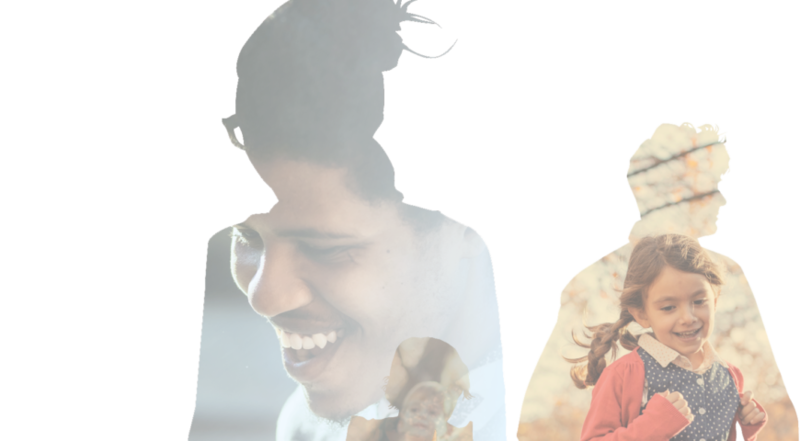 Healthcare professionals are best placed to evaluate whether patients need ONS and if so, for how long patients should be taking them. They can also provide patients with the most appropriate products for their individual clinical conditions and circumstances. Patients who take ONS should be regularly monitored and reviewed; and ONS should be discontinued when the patient is no longer malnourished, has met their nutritional goal(s) and is able to meet their nutritional needs through food alone. Healthcare professionals, commissioners and policymakers across all settings must balance investment in ONS and dietetic services against consideration of unintended consequences and longer-term burdens, to both patients and the NHS, that can be exacerbated without action. The provision of dietary advice and ONS to malnourished patients reduces complications such as infections and wound breakdown by 70% and mortality by 40%. There is little evidence of efficacy of managing disease related malnutrition with food-based strategies alone compared to the use of ONS. Yet despite this, against a backdrop of increasing cost pressures on the NHS, a number of CCGs have started to restrict prescribing of ONS, which require an initial outlay but consistently bring savings arising from the prevention of later associated complications. Fortified food has been provided instead in some cases, but this approach is over-simplified and often does not account adequately for patients’ individual clinical requirements or the clinical assessments made by healthcare professionals. In summary, prevention and treatment of malnutrition requires initial outlay and early action to reduce the risk and cost of longer-term complications. Healthcare professionals, commissioners and policymakers across all settings must balance investment in ONS and dietetic services against consideration of longer term burdens to both patients and the NHS that can be exacerbated without action. The importance of good nutrition should not be understated. Whilst considerable focus has been given to obesity in recent times, including high profile policy interventions, All Party Parliamentary Group (APPG) enquiries and General Election manifesto pledges, malnutrition still remains the poor relation, notwithstanding the size and scale of the problem. Yet obesity and malnutrition are both states on the nutritional spectrum and the goal of public health intervention should be to ensure good nutritional status for the population as a whole; especially for those individuals at risk of malnutrition. Malnutrition is an avoidable cost to the NHS, but remains a significant and growing problem. Efforts to improve clinical practice have not resulted in adherence to clinical guidelines and there are fundamental inconsistencies in data collection, which means the overall incidence of malnutrition is likely to be significantly under recorded. Action is needed to ensure that Trusts are given all the support they need to accurately record malnutrition risk, thus reducing its incidence over time. Elia, M. (on behalf of the Malnutrition Action Group of BAPEN and the National Institute for Health Research Southampton Biomedical Research Centre). 2015. The cost of malnutrition in England and potential cost savings from nutritional interventions.